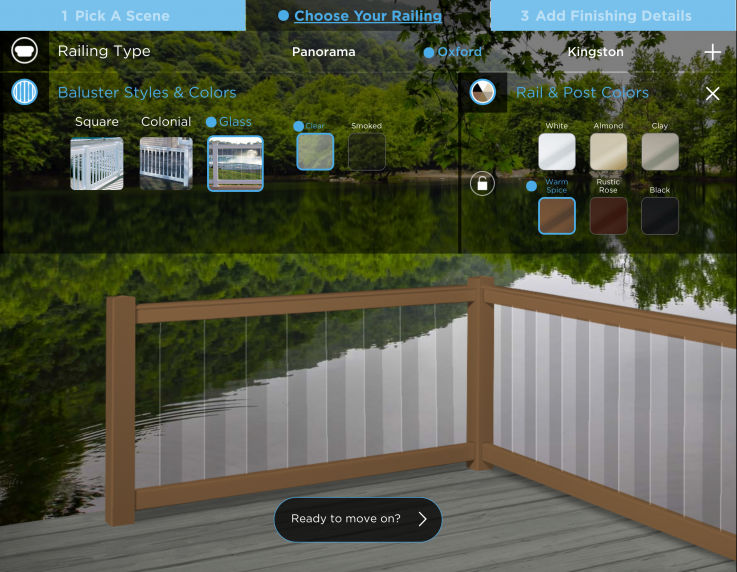 A railing visualizer built for CertainTeed using the latest web app technologies. Designed the user interface, user interaction scheme and overall look based on a flexible end product. Coded out the full React/Flux based structure and complex logic over a short period with shifting requirements. The goal is to finish it with a react-native update for iOS and Android. Credit to my colleague Lee Fitler, for the clean, precise and beautiful background assets that make this app so stunning.